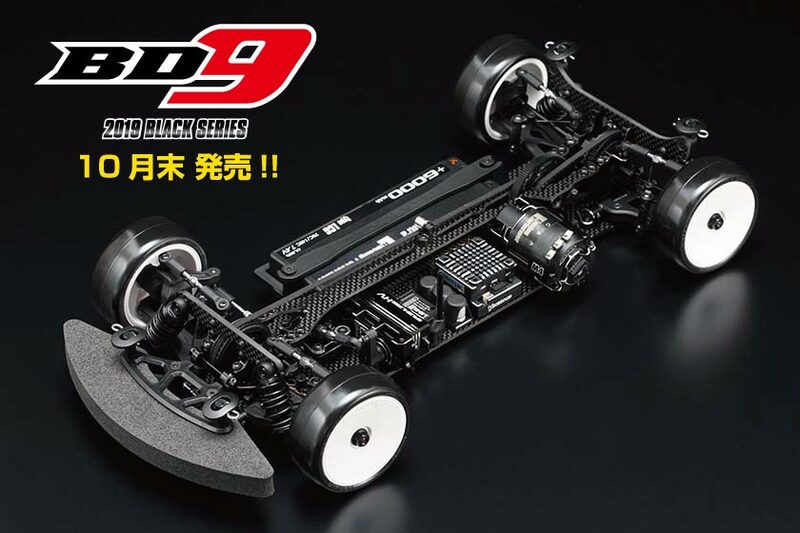 All New touring car "BD9" Product details ! MRTC-BD919　1/10競技用ツーリングカー BD9　￥63,000(税別)　10月末発売!! All of plastic composite materials are made in Japan with new designed mold, this is a big challenge for us to release a brand new car like BD9. Every single parts has been tested one by one at several type of tracks in Japan and other countries. Our Ace pilot Ronald already shown us to achieve the track record in first ride early this week in Germany by using just BD9 new chassis. The car looks very conservative changes but very aggressive approach for ensure the racing drive feels more easy at serious racing scene. This is the car everybody feels more advanced in driving technique just out of the box car. The configuration in the box is ready to race. 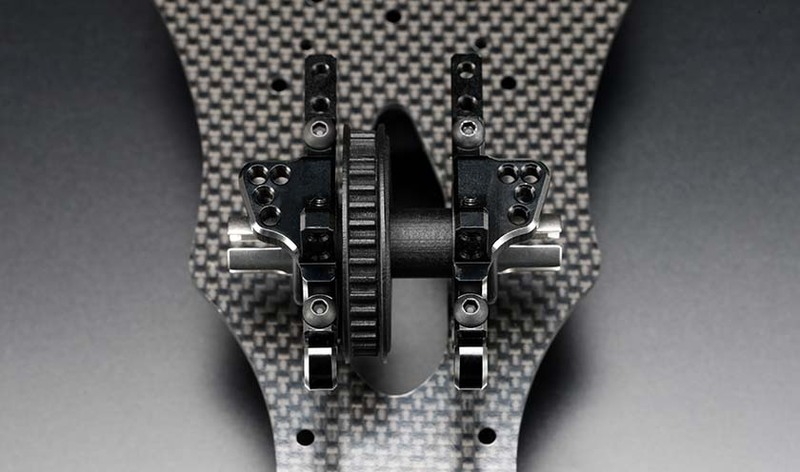 By narrowing the width of the bulkhead, chassis flexibility has more optimized. It is easy to fit various road surface conditions, to increase the traction. In addition, screws that fix the upper and lower bulkhead and upper deck are bundled with two types of screws, aluminum and steel, and it is possible to change the flex by selecting according to the conditions. 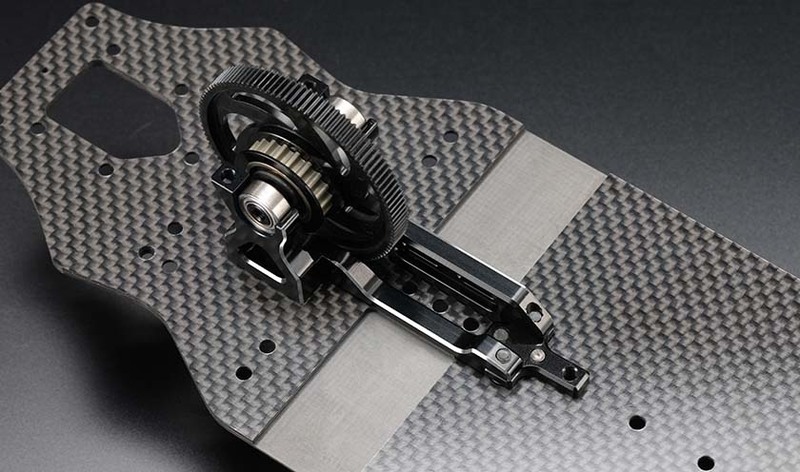 To support high power and flex chassis, the center pulley was R/L separate type to support the gear in sandwich, and adopted a design that enables symmetrical fixation to the chassis together with the motor mount and driving efficiency has improved. 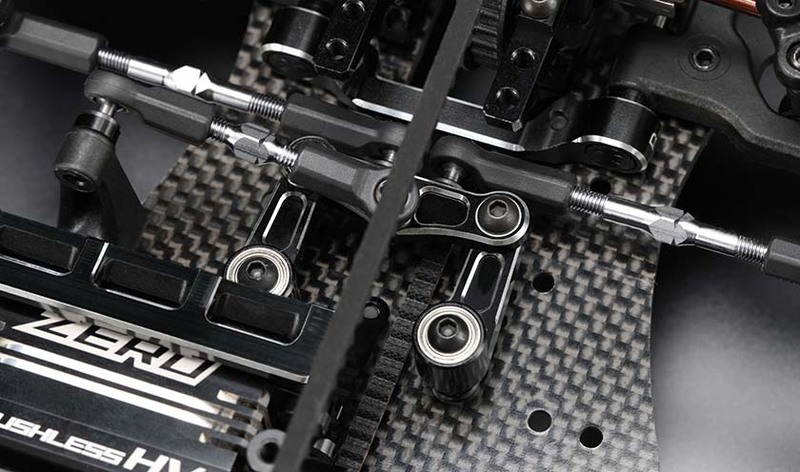 It is also possible to fix the center bulk and the post which also serves as the battery stopper with the upper deck by adding a spacer, so you can also adjust the front and rear flex balance. 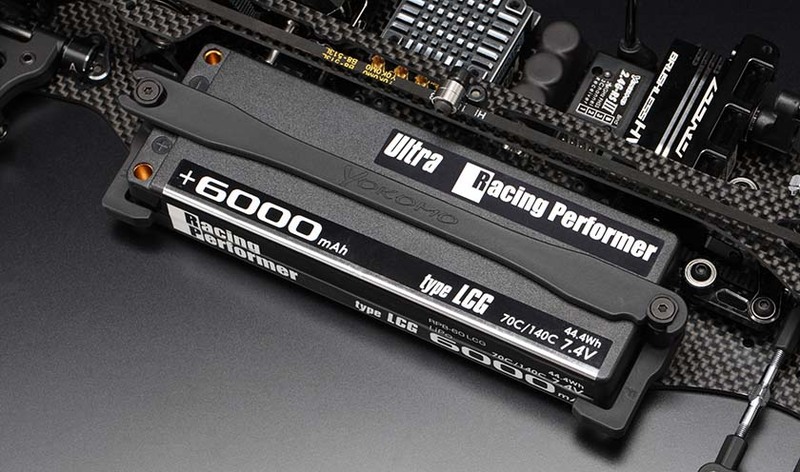 The battery fitment is not a glass tape that affects the twist of the chassis, but it is a battery holder system that can float to a certain extent. It is also possible to prevent the battery from falling off and saving you for the quicker replacement. 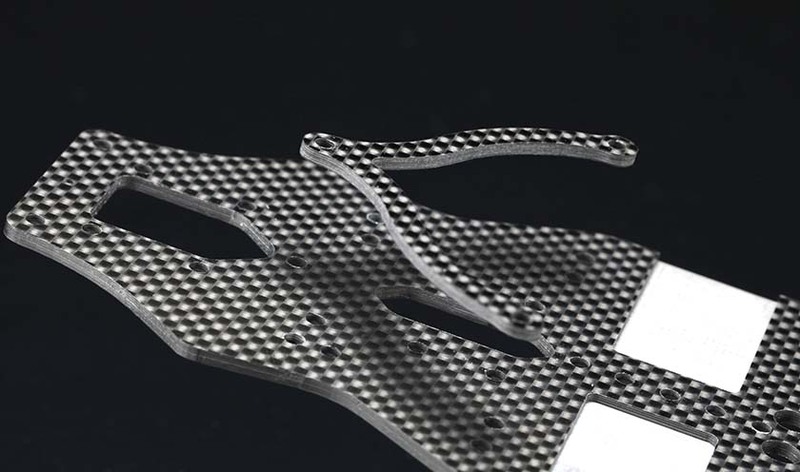 By thoroughly examining the parts shape as well as the parts used, it becomes hard to be affected by environmental changes such as climate and temperature, and even under the extreme situation of racing, we constantly demonstrate the high performance of the original chassis I can do it. From the Sunday driver to the high-end users fighting the world championships all users who have “BD9” will be able to feel the performance and be the best choice for users wishing to win! Front and rear shocks are high big bore Ultra short shock specially designed for BD9, produced in collaboration with AXON. 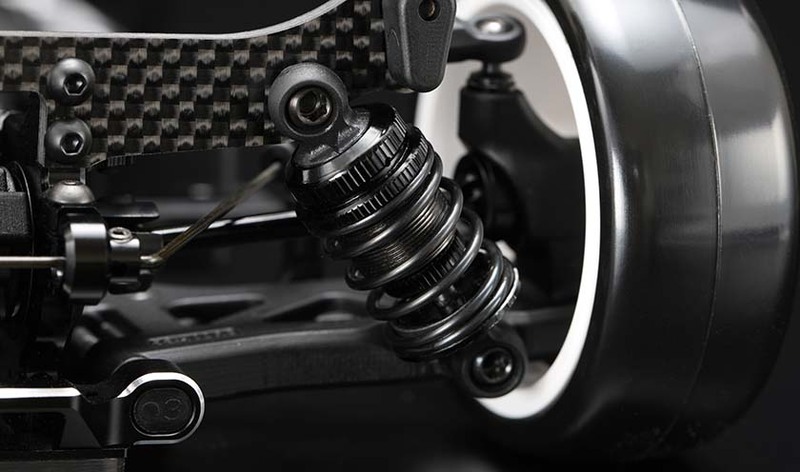 In addition, the front and rear springs are optimized version in accordance with the chassis balance. It accurately absorbs minute unevenness of the road surface and behavior of the machine, always felt traction, stay on the machine controllable all the time. 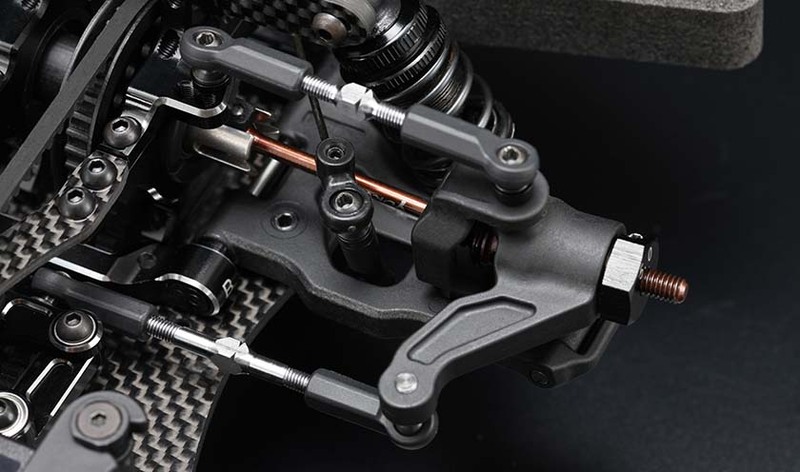 Steering bell crank and center link are aluminum made for improving steering response. 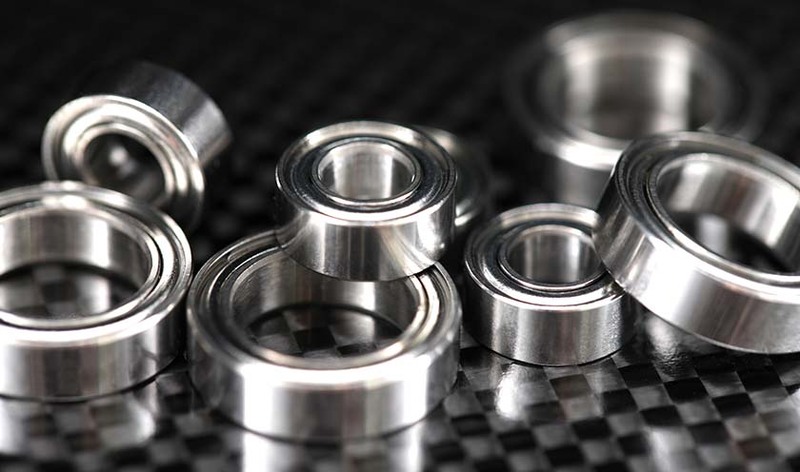 Precision bearings with high rotation efficiency are adopted.